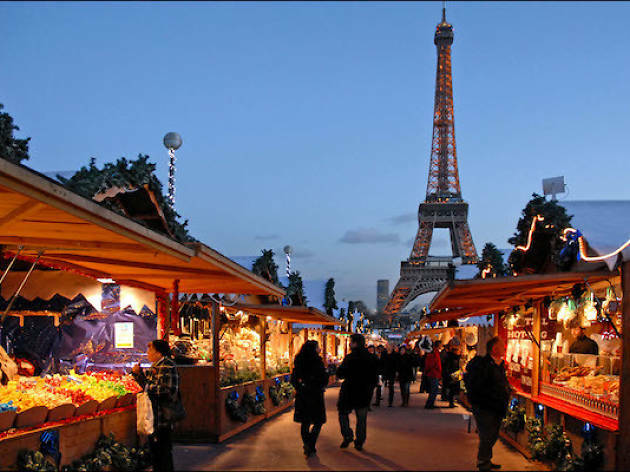 100 stalls, stunning views and a specially installed ice rink make Christmas at the Trocadéro more fun than ever. 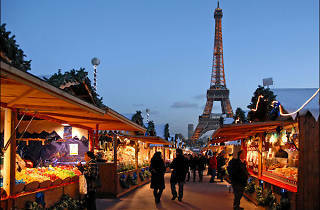 Back for its sixth edition this year after a year away due to building works, Trocadéro On Ice returns to this well-trodden patch of land in the shadows of the Eiffel tower with its fortnight-long Christmas market and musical ice skating rink. The specially installed 300-square-metre rink is relatively small and perfect for amateur skaters after a fun (and slippery) night out under the stars. Nearby, 100 German Christmas market-style chalets sell artisanal products and local specialities from a variety of European countries. There are also various special restaurants done out like ski cabins and terraces offering beautiful views.